The AGCBA said the health effector is complying "with levels of excellence" its many activities, welfare, academic and community. However, it was found that the hospital does not meet the standard of turnover in the presidency and the beds are insufficient for patient care. The Audit of the City of Buenos Aires (AGCBA, for its acronym in Spanish) indicated that in the area of hospitalization and emergencies, the availability of beds for the Guard is low. Consequently, "the conditioning of the halls was determined to meet the needs." In recent years, "an increase of patients seen by the sector 9 was verified: During 2006 8,364 patients were assisted in the emergency patient care unit, from there grew to register 365 in 2009". Likewise, "there is a high demand for beds in Intermediate and Moderate care that outstrips supply so many patients remain hospitalized in the emergency unit or in the daily surgical-clinical Hospital. In fact, in some cases, patients are discharged directly from the emergency and elsewhere from different health effectors." The Garrahan Hospital is run by a Board of Directors composed of two representatives of the Federal Government and two of the City of Buenos Aires. According to regulations, "the presidency itself must be exercised for a period of four years alternately by a representative of the Federal Government and of one of the City of Buenos Aires." But this method is not fulfilled by the body, because "since 2005 and until the date of the audit, the president remains the same." The AGCBA detected in its report adopted last year on 2010 data, "lack of human resources available in the Internal Audit Unit (IAU) - to comply with provisions of the control plan." In addition, "the Internal Auditor is acting as the Human Resources Manager since 2010." The report also observed, "The failure to appoint 50% of the resources structure of internal audit area." Nor is the "application of systematic procedures" in this sense, that allows performance monitoring and detecting Hospital detours global evidence. On the other hand, the auditors highlighted a "significant delay" in the preparation and approval of the Annual Report, Balance Sheet and Resource and Expenditure Account entity. Meanwhile, the Garrahan "drew up a schedule to update the publication of backward Financial Statements (2008, 2009 and 2010)." Finally, the AGCBA found that "the computer system of the central shift is not articulated with the ANSES database, making it difficult to detect social health care coverage for patients." La AGN detectó que utilizan tecnología de grabado de más de 30 años de antigüedad que no permiten controlar digitalmente la producción de billetes. 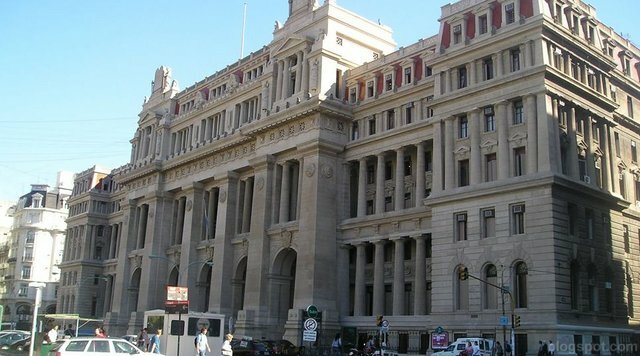 La verificación del uso de tinta y papel enviado por el Banco Central y la cantidad de billetes generados, dependen de registros manuales. Hay PC con Windows95.